Shopping for Captain America Construction Toys? 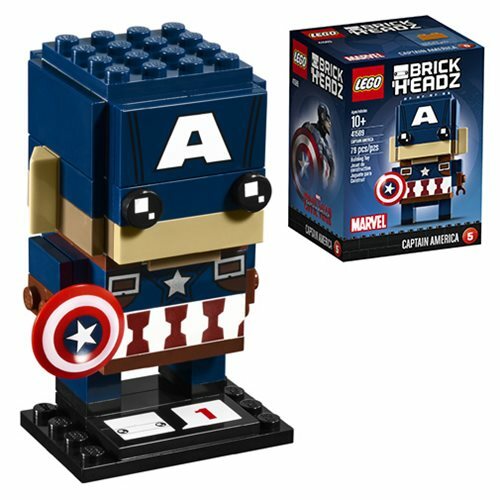 This iconic LEGO BrickHeadz 41589 Captain America construction character is fun to build using colorful LEGO System bricks that recreate all of his iconic details, including detailed costume with headgear. He also has a shield in hand and stands on a baseplate with series number and BrickHeadz icon for easy display. Add some fierce fighting pride to your home, office or anywhere you like. Includes 79 pieces. Ages 10 an up.